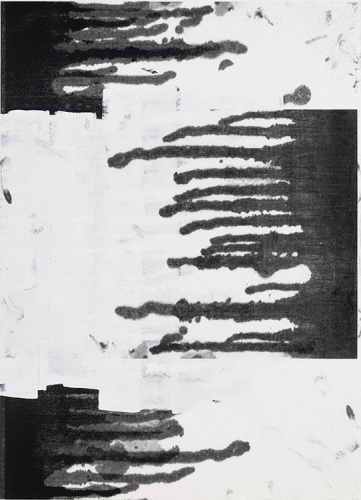 Christopher Wool, Untitled, 2015, enamel and silkscreen ink on linen. Maybe Maybe Not: Christopher Wool and the Hill Collection is a presentation of an emblematic selection of the work of American artist Christopher Wool. It inaugurates the exhibition program of the Hill Art Foundation, a cultural center conceived to offer broad public access to the seminal collection of contemporary and historical works assembled by J. Tomilson and Janine Hill over the past four decades. For more information, please visit the Hill Art Foundation's website.